Beautifully Updated home situated on almost TWO acres of land. 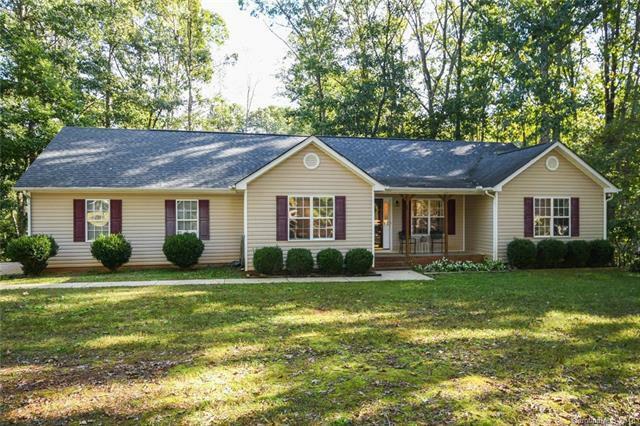 Easy, country living close to I-485, shopping and dining. No HOA! Must See to really appreciate ALL the UPDATES this home has to offer. Beautiful kitchen features custom built cabinets, granite counter tops & subway back splash tile. Bathrooms have been updated to granite counters, tile floors, new vanities & MB been updated w/tiled shower floors & walls, frameless door. Highlights include soaring ceilings, custom built-ins, gorgeous laminate floors & generous bedrooms. This house definitely looks like an interior designer lives here. Offered by InvestRight Realty Inc. Copyright 2019 Carolina Multiple Listing Services. All rights reserved.